Functional UI automation for everyone on your team: Technical testers, non-developers, and management alike. 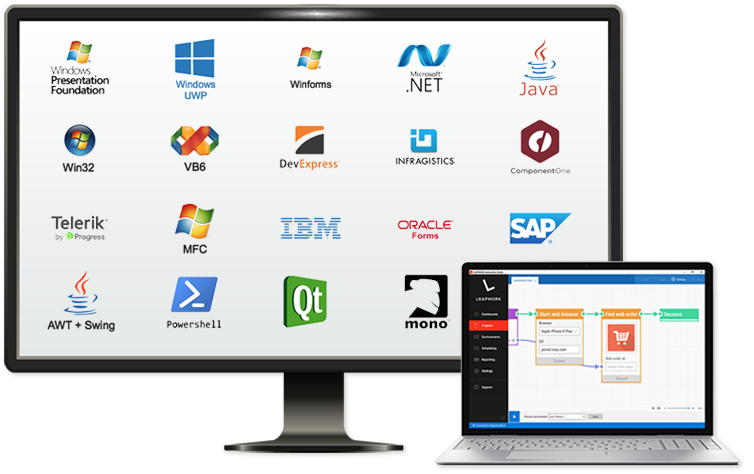 One platform for UI automation of any web and desktop application. 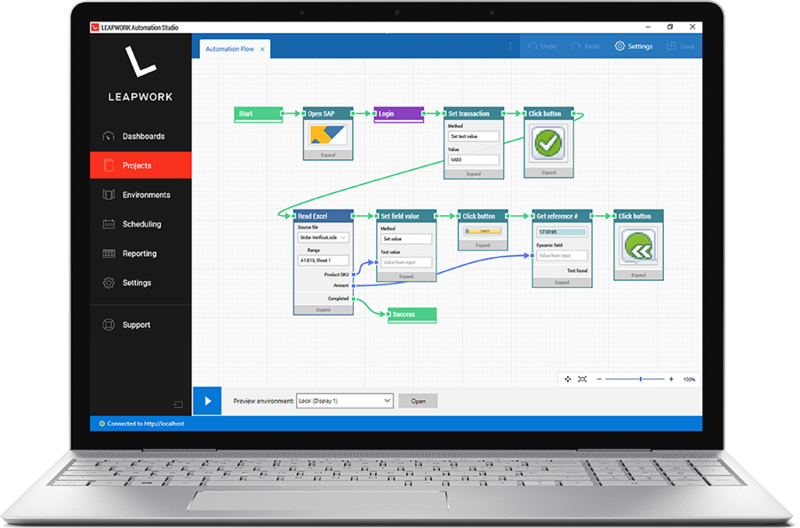 Build UI automation flows from day one powered by LEAPWORK's visual flowchart engine. 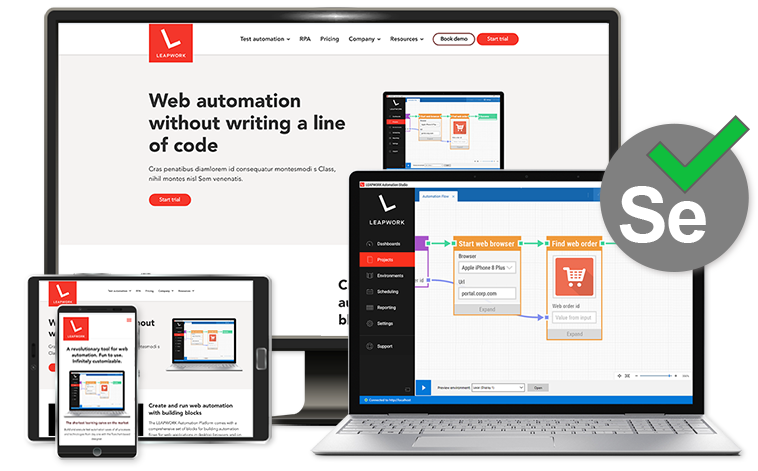 Run your web UI automation cases on your local device, an onsite Selenium Grid, or a cloud service to run in parallel and across browsers and platforms. 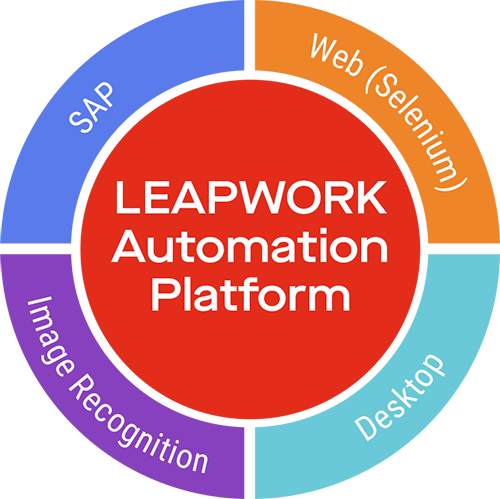 The LEAPWORK Automation Platform comes with built-in Sauce Labs and BrowserStack integrations.